Measuring 13.9 feet, with one sail, the Sunfish is raced either with one person or two. (Visit www.sunfishclass.org for more information.) The current builder is Laser Performance, from Rhode Island. The Sunfish is the most popular recreational sailboat in history. Its classic design, unmatched stability and sailing ease are enjoyed by all ages. Owners appreciate the lightweight hull, which easily travels on the top of a car. The ultra-durable construction ensures years of maintenance free enjoyment. Sailing trips are a breeze, just load the Sunfish on your car and go. This is the classic boat you grew up with. The Sunfish has two easy-to-rig lines and easy-snap sail rings. A racing sunfish can have an outhaul, cunningham, race-sail with window and quick-release gooseneck upgrades. The International Sunfish Class sanctions more than 1,000 racing events each year. In Highland Lakes, we sail a number of different Sunfish fleets of Sunfish; Youth Junior Single (18 and under) on Wednesdays, Youth Junior Doubles (18 and under) on Fridays, and a Ladies Fleet for those age 19 and over as a singles race on Thursdays, and Senior Singles are raced on Sunday’s for those 19 years of age and up (men and women). The Force 5 is a small, one-design racing sailboat that is similar to the more well known Laser but with a hard chine aft. (Visit www.force5.us/main for more information.) Although it is designed for single-handed racing, two people can easily fit into the large cockpit. The boats are currently built in Long Island by Weeks Yacht Yard. This is a competitive, sleek boat that is sensitive to the wind making for exciting sailing. This 14-foot craft has a 91-foot mainsail, rolled deck, and an adjustable rig. It can be car-topped. Force 5 races are held Saturdays at 11:00 am from the Eckardt Sailing Center. Erika Rodger is the fleet captain. Windsurfers are simplicity in design – one board, one sail, and one sailor. The lightweight foam core boards can be quickly transported to your favorite launch site. Loading and unloading can easily be done by one person. Manufacturers produce everything from stable beginner designs with stand up paddle options to planning hull race boards. We utilize two basic classes for racing – Sport and Open. The Sport Class is designed for beginner to novice racers. Pre-race clinics are available by calling (845) 893-2923 by 11:00 am on race days. Races are on Saturdays at 3pm starting on June 28. The maximum allowed sail sizes for racing are 9.3 square meters for the Open Class and 7.5 square meters for the Sport Class. Both classes can use any type manufacturer board and sail. U.S. Windsurfing sanctioned events run throughout the year at various locations with points counting toward national rankings at the end of each year. Classes include Open, Formula, Kona One Design and Hybrid which includes the Neil Pryde Olympic class RS:X. Kevin Gaston is the fleet captain. The largest number of cats on the lake are made by Hobie. The two types are the 16 and the Wave. The 16’s hulls are made of fiberglass, has two sails with 20 m of sail area, 27′ mast, and weighs 320 lb. The Wave’s have hulls made of roto-moulded polyethylene, a single 9m sail, a 20′ mast, and weigh in at 245 lb. The 16 is a higher performance boat better suited for racing. The Wave is more of a recreational boat and doesn’t go up wind as well as the 16. Both are fun boats especially in higher wind. We sail Sundays at 11:00 am with the FJs, so come join us if can. Chip Ehrhardt is fleet captain. Contact the HL Sailing Coordinator Lou Iannucci or the fleet captains directly, as listed above, for any additional information. 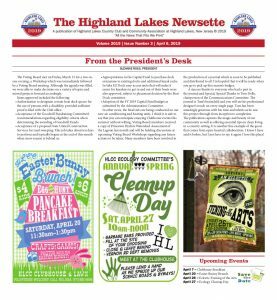 There are plenty of experiences for any boater to choose on Highland Lakes. 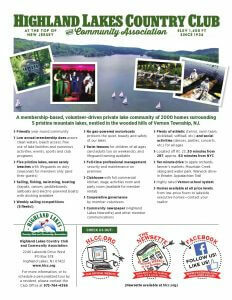 Come enjoy sailing… we would love to show you the ropes! 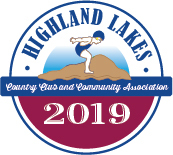 Highland Lakes sailing burgee apparel and burgee stickers to support the sailing program and events are available.